19 August 2016, Limoges (FRA): With only ten seconds separating the top four General Classification riders, Tour du Limousin came down to the wire on Stage 4 with Joey Rosskopf crossing the line in the front group to secure overall victory after leading the race from start to finish. BMC Racing Team were in control of the race for most of the day and never allowed the advantage of the day's eleven-rider breakaway to reach beyond 3 minutes 30 seconds. With the final breakaway riders caught going on to the final finishing circuit, attacks from main General Classification contenders could begin including an impressive show of acceleration from Rosskopf with 10 kilometers to go. Eventually the stage came down to a fast and furious sprint for the line won by Sonny Colbrelli (Bardiani - CSF), while Joey Rosskopf finished safely in the bunch behind to finish on top of the General Classification just one second ahead of Colbrelli. Congratulations, Joey! Can you explain how you felt crossing the finish line? "I feel super good! I would have been really disappointed if I had lost the GC today but that didn't happen so I feel fantastic." It was so close at the top of the General Classification going into today's stage, were you feeling confident that you could win? "I was confident that it would come down to a sprint. I was not super worried about second and third on GC as I knew I could mark them but the biggest threat was definitely Colbrelli. All he needed other than the win was for a one second time gap to open up at the field sprint which could have easily happened but I gave it my all to stay up there and in the end I was able to win the race. It was definitely super close." 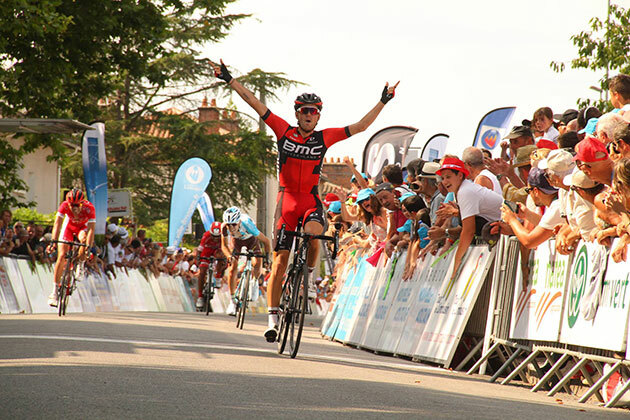 You have praised the work of your BMC Racing Team teammates this week, can you describe what that means to you? "It has been an incredible experience. There is not a better display of cycling as a team sport than what we did over the last three days defending the jersey. Cycling might look like an individual sport but it isn't. I mean, I won the race but I wouldn't have been able to do that without the support of such a strong team"
And looking ahead, how do you feel about the rest of the season? "This win gives me a lot of confidence. I was already really happy with how I was riding going to Tour of Utah and I am really happy that I could keep that form going here and make the most of it." Sports Director, Jackson Stewart said: "We were pretty certain it would be a bunch sprint today as there was handful of teams who thought they could win the stage. We were nervous about the time bonuses and as we knew Colbrelli could win the stage and if he wanted to take GC he probably could get that too." "We did all the work to defend early on and then got some help in the final before some pretty big attacks. It finally came down to a field sprint and we knew that we couldn't let gaps form." "The team did an amazing job. It's been really nice to see the team come together. This was a smaller race, a different kind of race for us so we just came into the race looking for opportunities and Joey took a great one right at the start. For me, it was really impressive how he won the race as after the first stage he only lost time on the GC due to the time bonus." One day ahead of the start of the third and final Grand Tour of the season, the Vuelta a España, three-time race winner, Alberto Contador, faced questions from the press. Your come to the Vuelta with three victories, how does that make you feel coming into the race? I’m calmer now after three victories. That is incredible to me and that allows me to relax. For sure if I can, I will look for a fourth victory but we will see, and we will go day by day and see if that’s possible. After the Tour, do you think that you have some advantage over the Tour competitors who raced more than you? No, because when I abandoned the Tour I was in optimal form. I was penalised because the crashes and the bruising meant that I had to stop riding. I started again maybe a little bit before the doctors told me to, but it wasn’t real training, just riding. My first proper training after the Tour was San Sebastian and Burgos, so I probably have less preparation for this Vuelta, and maybe less than other years. I don’t think I have an advantage. Froome and Quintana say you’re the main favourite, and the pressure is on you. Do you agree? I don’t think so and I don’t believe this. I can rest assured that this race is already in my palmares. I’m sure that they are looking for their first Vuelta title. Froome has been on the podium I think three times before now, and he has a very strong team. And since the Tour he has the tranquillity to rest – I’m sure he knew he’d come here from the beginning. For Nairo it’s the same, since the last day of the Tour, we’ve heard nothing about him and he’s been resting and recovering for La Vuelta. I’m sure both of them will be here in optimal condition. For me I will look for a positive situation on the race, and we will see what happens but Froome and Quintana have stronger teams than me and we will see during the race if it’s under control or not. People have said the parcours is better for you than any other favourites. What do you think about that? Regarding the parcours, everyone is talking about Froome, Nairo and me, but I think that there’s another favourite and that’s Valverde because he was very strong during the Tour and at the Vuelta he has more options. He has lots of finals very suitable for him, also with time bonuses. Also, he knows how to win the Vuelta a España. The parcours is better for him than for me. I have to think that it’s a good parcours for me as it is the parcours that we have ahead of us. But the last time trial, for example, is much better for Froome. How does the victory in Burgos prepare you? A victory always gives you confidence, but the day after the victory you must start from zero again and continue working. It’s good for the team and for everybody, but here the race is much longer, the rivals are different and we have a lot more stages than Burgos so we start from zero. 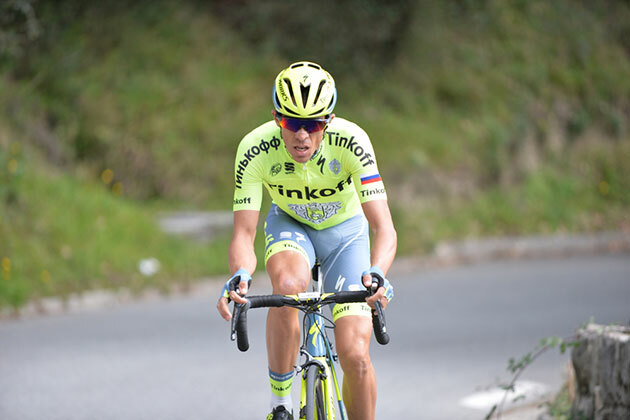 Will we see the typical Alberto riding, or will you maybe use another tactic for this Vuelta? It’s complicated to answer this as we have to take it as it comes. This race is very long and there are other teams that can control the race better than us. Also, it’s difficult to change your tactics each day, but we will have to see as we go what to do and to decide in the moment. What do you expect from tomorrow’s time trial and what do you think the differences will be between other teams? I don’t want to think of differences, I want to think about the time trial and getting the maximum out of it. Every rider on the team is very motivated and wants to give their all – we will see what the result is. I hope that the differences will be good for us. Is this the moment to speak about your future? No. At this moment I am a rider for Tinkoff. Tinkoff is my team and I will give 100% for this team. The other reason is that it’s the last big tour in this jersey, so the best thing is to do my maximum for this team. Next year will be another story and time for talking about the future will come. Next Sunday the WorldTour peloton will be racing in Germany at the Hamburg Cyclassics, a race which was organised for the first time twenty years ago. One of the riders on the start list is German champion André Greipel, who won the race last year. After his wonderful victory on the Champs-Elysées on the last day of the Tour, André Greipel rode some criteriums and afterwards he put his bike aside for a few days to enjoy some quality time with his family. The German champion was the fastest in Hamburg last year, he beat Alexander Kristoff and Giacomo Nizzolo in the sprint. In 2012 and 2013 Greipel finished second. In 2010 he got third. The Hamburg Cyclassics is the only WorldTour race in Germany at the moment. Next year the Rund um den Finanzplatz Eschborn-Frankfurt will be added to the WorldTour calendar. The highlight of 2017 will no doubt be the Grand Départ of the Tour in Düsseldorf. This year’s edition of the Hamburg Cyclassics is 217.7 kilometres long. In the last one hundred kilometres the Waseberg needs to be climbed three times. When the riders get to the top for the last time 29 kilometres are left to cover. The finish is expected between half past four and five o’clock. Line-up Lotto Soudal: Lars Bak, Jens Debusschere, Frederik Frison, Tony Gallopin, André Greipel, Tomasz Marczynski, Jürgen Roelandts and Marcel Sieberg. 18 August 2016, Santa Rosa, California (USA): A strong eight-rider BMC Racing Team squad will line up at the German UCI WorldTour one-day race EuroEyes Cyclassics this Sunday, 21 August. Sports Director Fabio Baldato said that the team has multiple options going into the race. "We're not lining up at this race with a specific team leader. Everyone will have an opportunity to make a move and try something for themselves. We are heading there without any pressure but we are motivated to ride an aggressive race." "This is definitely a fast Classic race and we are taking a group of experienced riders, including Marcus Burghardt, Alessandro de Marchi and Daniel Oss, who will be able to take advantage of any opportunities. Rick Zabel will also give us an option in the sprint and for both himself and Burghardt, racing on home soil will give them extra motivation," Baldato said. 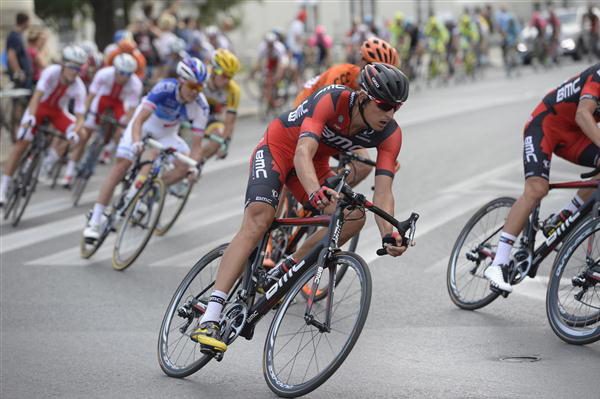 Marcus Burghardt is looking forward to lining up at a WorldTour race on home soil. "For me the EuroEyes Cyclassics in Hamburg is very special because it's the only WorldTour race in Germany. I think after last week in Norway I had a good preparation and I hope to show something good when we go up the Waseberg for the last time. I think if you can get into a smaller group of about eight to ten riders after that point then there is the possibility of going all the way to the finish and making a good result," Burghardt commented. 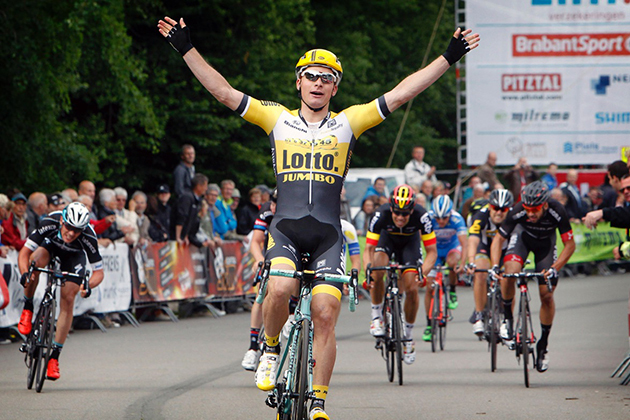 Moreno Hofland will lead Team LottoNL-Jumbo in the Euro Eyes Cyclassics in Hamburg. The team believes the Dutch sprinter can survive the climbs in the final part of the race to contest a predicted bunch gallop together with Dylan Groenewegen. “I’m expecting something from this race,” Sports Director Merijn Zeeman said. “It’s a race that ends up in a sprint with a big group of riders most of the times. We’re facing the Bergwertung three times in the final part of the race. The bunch probably thins a little out there, so it’s an important part of the race. Line-up: Moreno Hofland, Tom Leezer, Mike Teunissen, Sep Vanmarcke, Timo Roosen, Dylan Groenewegen, Maarten Wynants and Wilco Kelderman. A race that has predominantly favoured the sprinters, the EuroEyes Cyclassics will be a chance for Tinkoff to test some of the team’s fast men against the quickest in the peloton with British champion, Adam Blythe, and Oscar Gatto leading the way for the team. Joined by a strong team that can make a difference in the race, Tinkoff will look to make its mark on the one-day WorldTour race. The eight rider Tinkoff line-up for the race sees a return to racing after his Olympic road race and time trial efforts for Maciej Bodnar. He’s joined by the recent Tour of Denmark winner, Michael Valgren, who took an impressive stage win on the way to victory in his home tour. These two are joined by Pavel Brutt, who comes to Hamburg from racing the Tour du Limousin; Slovakian road race champion Juraj Sagan, the hugely experienced Matteo Tosatto - taking the role of road captain - and finally Nikolay Trusov, who ended the recent Arctic Race of Norway with a top ten stage finish. The race, now in its 21st edition, covers 217.7km before its showdown in the city streets of Hamburg, taking in a succession of both large and small circuits. In terms of difficulties, the riders face four ascents of the Waseberg – the final three falling in the last 45km of racing. But with over 15km still to race from the top of the last ascent to the finish, the race often comes back together under the influence of the teams preparing for a bunch sprint. Dutch WorldTour team LottoNL-Jumbo is beefing up its team for the 2017 season with Jurgen van den Broeck. The Belgian classification rider inked a deal for 2017 and 2018. “Jurgen van den Broeck, firstly, comes to support our overall riders Robert Gesink and Steven Kruijswijk in the grand tours,” Sports Director Nico Verhoeven explained. “His first target will be the Giro d’Italia with Steven Kruijswijk. 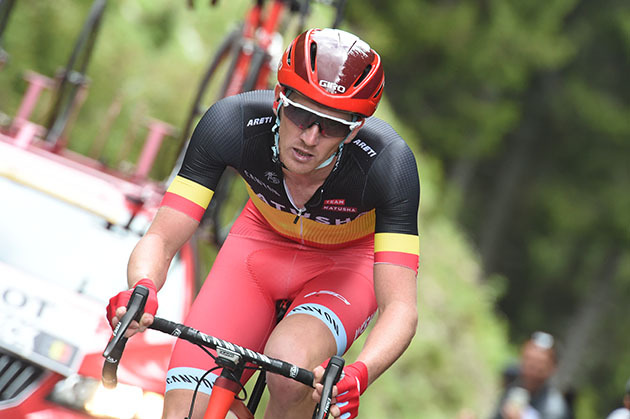 “I’m glad to sign this two-year contract with team LottoNL-Jumbo,” Van den Broeck added. “The framework of the team gives me a great feeling. It’s a beautiful environment to work in. That motivates me. I noticed that they’re working on every detail, from the training camps to the material and the nutrition. Team Liv-Plantur is delighted to announce that former world TT champion Ellen van Dijk (NED) has signed with the team for the next two years. The recent fourth placed finisher in the Olympic time trial in Rio de Janeiro has achieved impressive results to date, with 28 professional wins, the highlights of which are a stage of the Giro Rosa, the Ronde van Vlaanderen, the overall Boels Ladies Tour 2013, overall Ladies Tour of Qatar, and two overall victories at the Energiewacht Tour, 2013 and 2016. 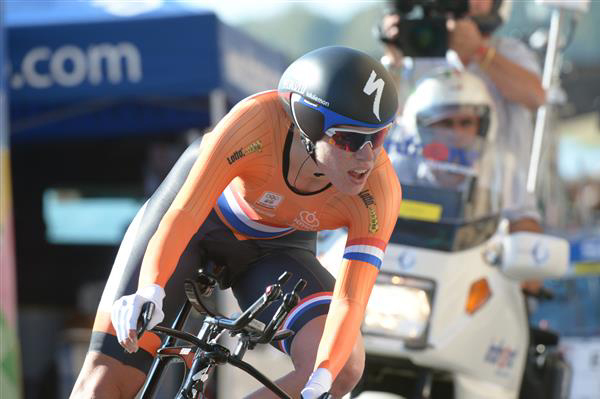 Strong in tough one-day races, classics, and stage races, van Dijk is also one of the world’s best time trialists. Together with the long-term contracts with talents Floortje Mackaij (NED), Sabrina Stultiens (NED), Leah Kirchmann (CAN), and recently signing Lucinda Brand (NED), the future looks bright for the team as it aims to step up and become one of the top teams in the Women’s WorldTour. PHILADELPHIA, USA – After the bankruptcy of multisport chains Sports Authority (460 shops + online sales) and Sport Chalet (47 stores + online shop), the take-over of one of the largest US bicycle retail chains is the next sign of the struggling US market. The Performance Bicycle chain has been taken over by Advanced Sports International (ASI), supplier of Fuji, SE Bikes, Kestrel, Breezer, Oval Concepts and Phat Cycles brands. ASI has close ties with Taiwan based bike maker Ideal Bike Corp.
To avoid losing an important distribution channel ASI decided to take a step forward with the take-over of Performance Bicycle. It comes after Accell Group reported a 3% decline in turnover on the North American market mainly due to the bankruptcy of the multisport chains Sports Authority (460 shops and one-line sales) and Sport Chalet (47 stores plus on-line shop). Accell sold Diamondback bikes at the two multisport chains. At the presentation of the company’s half year results Accell also reported that its Raleigh brand is faced with fierce competition and arduous conditions at IBD’s. ASI’s latest acquisition illustrates a potential growing movement for bicycle manufacturers and brands to buy retailers as an alternative or additional route to their own direct-to-consumer investments. Earlier this year the same happened on the North American fitness equipment market when Johnson Health Tech acquired its second retail chain.